 The IUCN Joint SSC/WCPA Marine Mammal Protected Area Task Force (IUCN-MMPATF) has developed a publically available Online IMMA e-Atlas which will allow users quick access to information about many habitats and species within Important Marine Mammal Areas (IMMA). The Global IMMA Network is currently in a process of development. Please see a representation of the completed and scheduled regions below. The IUCN-MMPATF is working with marine mammal experts around the world to identify IMMAs and make this information available to other experts, conservationists, policy makers, marine developers, and the general public. This critical information can help to conserve these areas for marine mammals through informing how we can best manage our activities through the development of good practices and other placed-based protection measures such as Marine Protected Areas. Please scroll around the map above where you can click on the coloured areas to get pop-up boxes with information about the various IMMAs which have been identified so far. From here you will also get further links to dedicated pages for each IMMA to discover even more about what makes these areas so important to marine mammals. You can also find out information about other areas in the network such as candidate IMMA (cIMMA) and Areas of Interest (AoI) which are presently pending further assessment by marine mammal experts working with the IUCN-MMPATF.